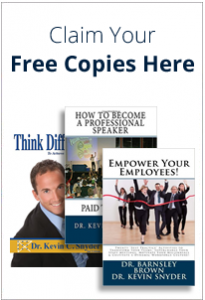 Interested in a FREE eCopy of all Kevin’s books? He frequently provides complimentary copies through his monthly email newsletter. 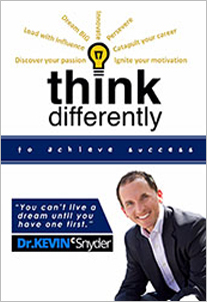 Think Differently is Kevin’s best-selling inspirational and leadership book. It’s filled with motivational stories and powerful lessons that will condition your mind for success and higher performance. You’ll become more passionate, focused and resilient just by reading! What you think about you will bring about. Kevin offers this book to be customized for your organization when ordered in bulk. The inside front page will have your logo and a welcome message included! Inquire. 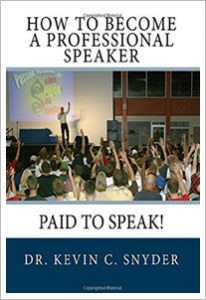 How to Become a Professional Speaker: PAID to SPEAK will walk you through the process of becoming a professional speaker. Written in 5 coaching modules as a workbook, you will learn exactly where to start and how to get PAID! 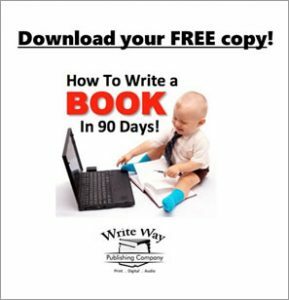 BONUS chapter: How to Write a Book in 90 Days! 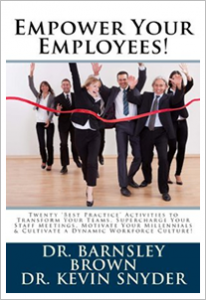 Co-written with Dr. Brown, Empower Your Employees is an excellent train-the-trainer guide with activities designed to help you empower your team members during meetings, retreats and workshops. Dr.’s Snyder and Brown facilitate these exercises for groups all over the country and are showing you how to do the same! Kevin has been playing piano for over 25 years. What began as a ‘Mothers Day gift idea’ evolved into a studio recording capturing some of his most passionately written piano pieces. 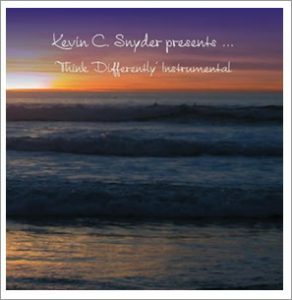 Think Differently Audio CD is comprised of Kevin’s own instrumental piano compositions.